Thousands of Rohingya refugees who escaped unimaginable horrors in Myanmar last August and whose lives in hillside shanty towns are now threatened by deadly mud landslides, floods and water-borne diseases like cholera and diphtheria will benefit from the retirement of the Revd. 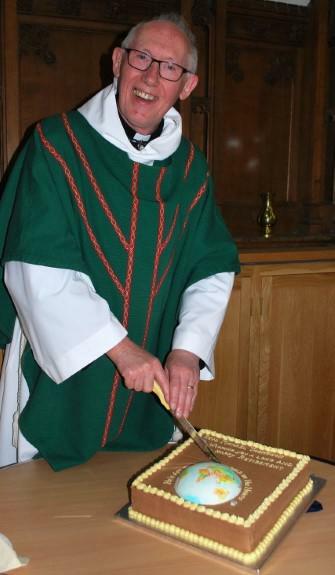 Michael Thompson, Team Vicar in the parish of the Upper Skerne. Fr.Michael requested that the offering from his final service in the parish should be donated to Christian Aid to help ease the plight of the refugees who fled the persecution and violence in Myanmar only to find themselves at risk from dangers caused by heavy rains around their new homes in Bangladesh. The service was held at St Michael’s Church, Bishop Middleham, on Sunday and attracted members of all five churches in the parish which includes Fishburn, The Trimdons and Sedgefield. 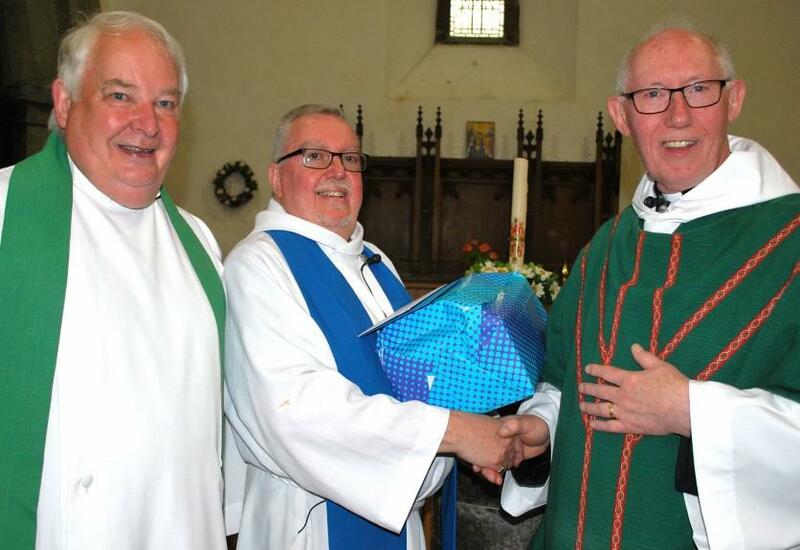 Fr.Michael’s wife and sons joined him to hear Reader Bill Armstrong, who assisted at the service, pay tribute to the work the Team Vicar had done in the past four years and to see him presented with gifts from grateful parishioners. They included a crucifix for the family’s new home in Spennymoor, an Italian white resin statuette of Our Lady of Walsingham, and a cheque – as well as a large chocolate cake made by Sedgefield’s Julie Latheron that was shared among the congregation at the faith lunch following the service. “We have loved being with you. It has been a real delight,” said Fr Michael. The Revd. Malcolm Masterman also assisted at the service, there were readings by Su Jordan and John Burrows, Intercessions by Ron Eyley, and music by members of MUSE. Organist was Janet Deane. 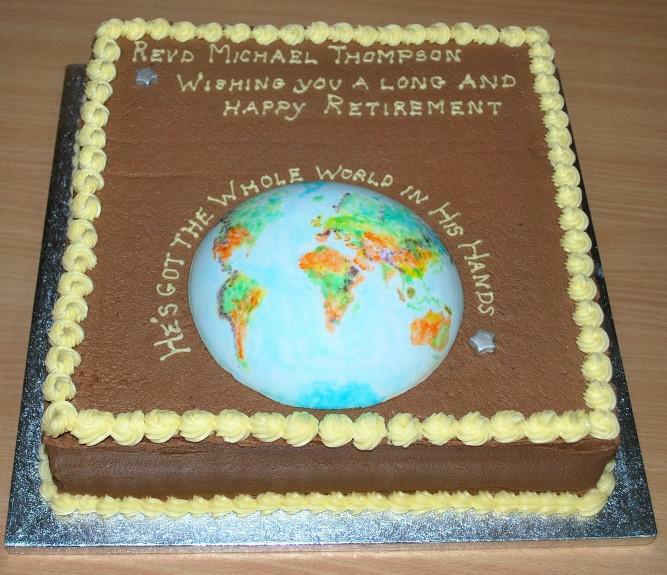 Footnote: The two posts of Rector (vacant since the departure of the Revd. Michael Gobbett over two years ago) and Vicar (now to be a 0.5 appointment) will be advertised in early August.